Picture of Ruma Chakraborty who will be playing the role of Mamata Banerjee in the movie. As the election fever grips the country, politicians are looking for different ways to woo the electorates. From the advertisement, social media to web series and movies -- they don't want to leave any stone unturned to garner maximum attention. Among many such tactics being applied in the election campaigning is movies on prominent party leaders. Though the Election Commission (EC) has for now banned the release of the biopic on Prime Minister Narendra Modi starring Vivek Oberoi -- and the case is being heard in the SC -- another biopic on Bengal CM Mamata Banerjee, 'Baghini: Bengal Tigress', is set to release on May 3. However, the final phase of polling in West Bengal will be held on May 7 and May 12. 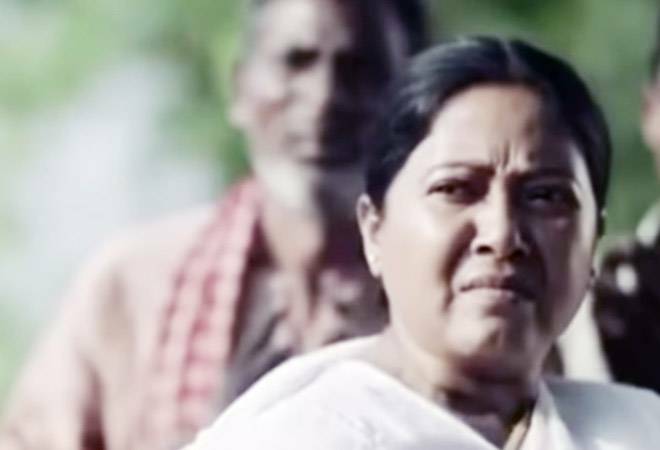 Directed by Nehal Dutta, Baghini: Bengal Tigress traces Mamata's rise in politics, from a dogged street fighter to becoming the first woman Chief Minister of Bengal. The film has already obtained clearance from the censor board. Theatre actor Ruma Chakraborty will be playing the role of CM Banerjee. "It is not easy to portray such a living legend. I saw several videos of her, tried to practice her mannerisms, the way she conducts herself," said Chakraborty in an interview to India Today's Indrajit Kundu. The trailer of Baghini: Bengal Tigress was released two days back. The film's trailer shows references to Banerjee's Singur and Nandigram protests. In Nandigram, more than 10 people died in police firing during protests against a special economic zone. In Singur's case, Mamata's All India Trinamool Congress party (AITMC) protested against setting up Tata Motor's plant to manufacture Nano cars in the state. The trailer also hints at the "poriborton" (change) brought by its protagonist - a word also used by TMC supremo in the run-up to the Assembly election. According to the director, the film was made after three years of research on the leader. The filmmaker said he took help of articles, biographies and news video clippings to sketch the life story of the politician in the film. He, however, insisted that it was not intended to be a biopic of Banerjee. Dutta told India Today: "Unlike Modi's film, ours is not a biopic. You can say we have been inspired by her (Mamata Banerjee). She is an iconic figure. It is an emotional story about women's' empowerment."